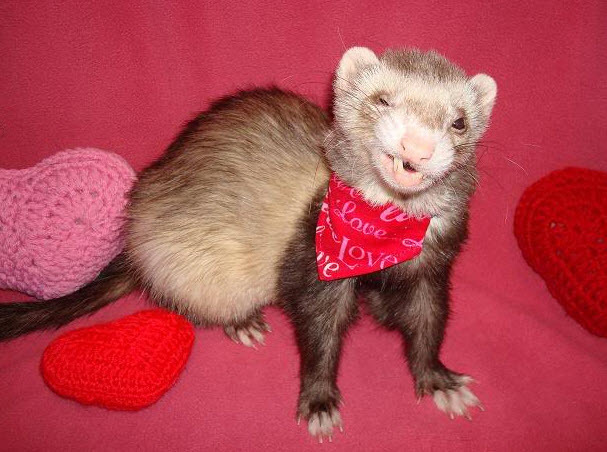 Make a bandanna to go on your ferret’s collar! Draw the shape for the bandanna on a piece of paper, leaving extra space at the top for the collar casing and extra space along the sides for the hem. Fold over the top edge of the bandanna so it can fit around the collar and sew the long seam of the edge in place, leaving the sides open to make a tube. Hem the remaining edges of the bandanna. Slide the bandanna onto your pet’s collar, then fasten the collar on them as usual.